The BBE pro-abdominal guard has been designed to provide maximum protection for the lower abdomen, kidneys and groin area. It is made of high quality suede leather to ensure a snug but anti slip fit. Elasticated fastener and lace fixing at the rear make it adjustable to awkward sizing. 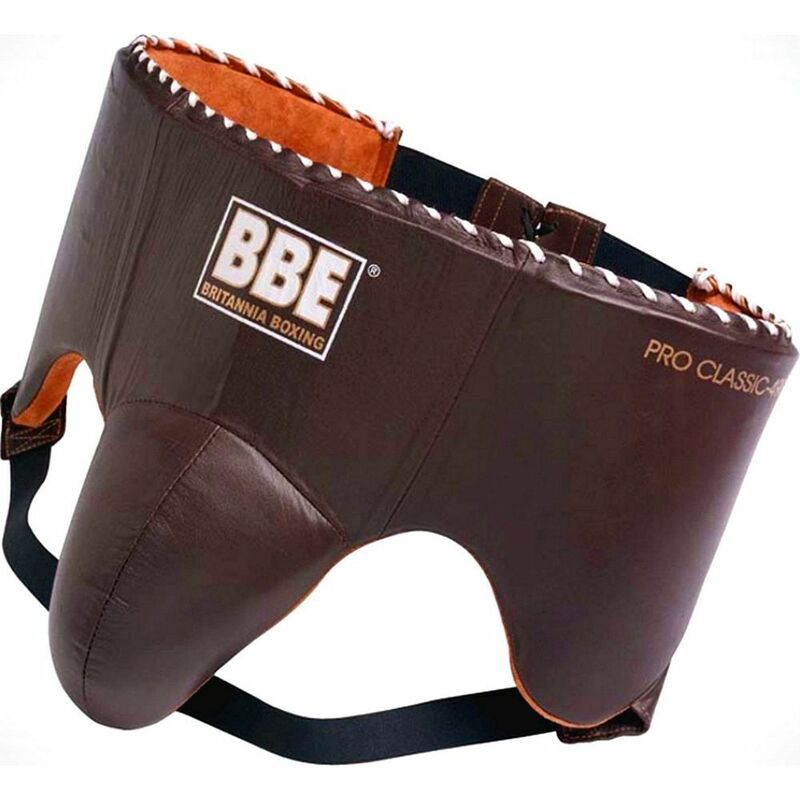 The high-waist sparring guard is perfect for first time boxers, but it can also meet the needs of more experienced boxers, who will appreciate this lightweight and comfortable protector. for submitting product information about BBE Pro-Abdominal Guard We aim to answer all questions within 2-3 days. for submitting product information about BBE Pro-Abdominal Guard. We aim to answer all questions within 2-3 days. If you provided your name and email address, we will email you as soon as the answer is published. for submitting product review about BBE Pro-Abdominal Guard.